For the next three weeks, almost two hundred cyclists will compete over 3,500km in one of the most gruelling endurance races on the planet – the Tour de France. Starting in Liege, the riders will wind their way down through the French countryside, crossing through the Alps and the Pyrenees, before finishing on the Champs-Elysees in Paris. The suspension of Alberto Contador, the two-time champion (he was stripped of the 2010 title after testing positive for clenbuterol), has left the race wide-open for another cyclist to step up and stamp their mark on the famous race. 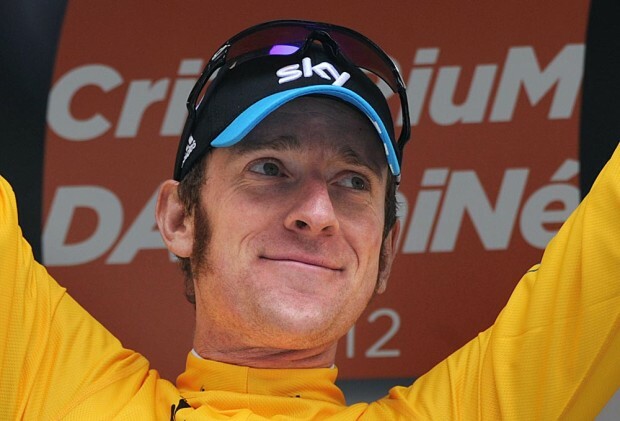 The strong favourite in the betting is Team Sky’s Bradley Wiggins. Never before has an British rider won the Tour de France, so expectations on the shoulders of the former track cyclist are high. However, his form in 2012 justifies his favouritism – victories in the Paris-Nice, the Tour de Romandie and the Critérium du Dauphiné, the first man ever to win all three in the same season, suggest he is in top form. In this time-trial heavy version of the Tour de France, he will fancy his chances. Out of the leading contenders, he has a dominating advantage in the time-trials, even regularly beating the leading time-trial specialists. He beat Cadel Evans by over two minutes in the Dauphiné time-trial, even finishing ahead of time-trial world champion, Tony Martin. His other strength is his consistency. While he will rarely be seen pushing away at the front on the major climbs, he is rarely dropped from the leading group, and it is this consistency that sees him in the position to use his time-trialling ability to pick up the overall victories. However, this same strength could potentially be a weakness. He relies a lot on his excellent Team Sky teammates to keep him out of trouble, and is still to prove that he can make the critical decisions on his own. Were he to find himself without any teammates in a dangerous situation, it remains to be seen whether he could ride a smart tactical race to maximise his position and minimise any losses. The other major test will be the multiple mountain stages. The last time he rode the Tour de France to completion in 2010, he finally cracked toward the end of one of the mountain stages. 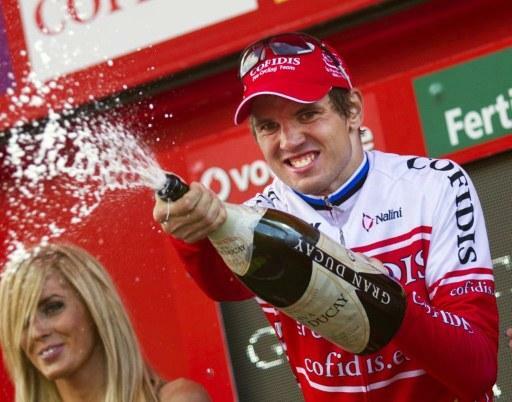 While he is a significantly improved rider since then, he was unable to stay with Juan Jose Cobo on the Angliru in the Vuelta last year, even finishing over half a minute behind his teammate, Chris Froome. 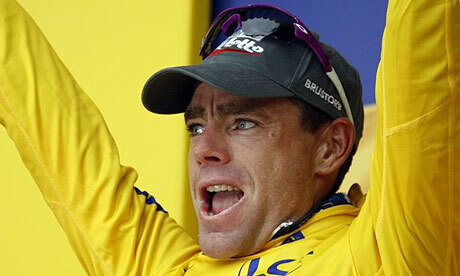 The other serious contender is the defending champion, Cadel Evans. The Australian, formally the perennial bridesmaid, rode a brilliant tactical race last year to clinch his maiden title. He stayed out of trouble and took time during the first week, took the initiative to chase down Andy Schleck on the Col du Galibier, and rode a stunning time-trial to confirm his victory. Whilst no slouch in the time-trials, Evans cannot hope to match Wiggins. This will mean that he needs to take time in the mountains, and he is certainly capable of doing so. He knows how to win a Grand Tour now, and will be aware of the opportunity to leave Wiggins on the slopes. He will also be helped by the presence of a very strong team. The experienced George Hincapie and Amael Moinard, combined with the ability of Philippe Gilbert and Tejay van Garderen should provide him with the help he needs to stamp his authority on this tour. These two are the clear favourites in the betting. Bradley Wiggins is available at 11/8 with Bodog, and is as short as Evens with Stan James. While he certainly has a good chance of winning the Tour, I would not be touching him at these odds. Cadel Evans is available at 9/4, and in terms of these two riders, I believe there is greater value in backing the Aussie, although arguably both riders are too short in the overall picture. Behind them, there are a group of talented riders that will be looking to cause an upset. Chief among these is the Italian, Vincenzo Nibali. The course this year could potential suit the Liquigas rider, with two of the major mountain stages ending with long descents to the finish. Nibali is undoubtedly in the top three descenders in cycling, so if he is able to hang with the leaders up the mountains, he will fancy his chances of taking time out of them on the descents. One potential wildcard could be his teammates. His Liquigas team consists of Ivan Basso, Peter Sagan and Sylvester Szmyd among other. If they can find a way to put their past differences aside and work as a team, they will certainly be a formidable unit. However, the tension is never far from the surface and could split the team at any moment. His major weakness is the time-trials, but he is very smart tactically, and if he can pick up enough time on the climbs and the descents, it would be no surprise to see him on the podium, and potentially challenging for the overall title. The other dark horse could be the Dutchman, Robert Gesink. He is probably one of the most natural climbers in the field and has the explosive ability to go out alone at the front of the group, unlike the more steady climbers, such as Wiggins and Evans. In the past, his time-trialling has been the major flaw. However, he has worked hard on it over the past twelve months, and has been putting in some impressive performances lately. In the Tour de Suisse, he lost only 25 seconds to Fabian Cancellara over 34km, while in the Amgen Tour of California, he lost only 39 seconds to David Zabriskie over 30km. If he can give himself a reasonable lead by attacking on the mountains, he may be able to limit the time that he loses in the time-trial, in which case, he will certainly be up there challenging for the title. Vincenzo Nibali is available to back at 20/1 pretty much across the board, while the best price on Robert Gesink is now 28/1 with Bet365, Sky Bet or Bet Victor. Outside of these, there is another group of possible outsiders. Ryder Hesjedal won the Giro d’Italia last month and is surrounded by a strong team. However, history has proven how difficult it is to put together successful back-to-back Giro-Tour doubles. If he struggles though, Garmin also has Christian Vande Velde and Tom Danielson that could take over as leader. Frank Schleck will take over at Radioshack following Andy’s injury in the Dauphiné, although he has admitted that he is not in the condition to sustain a challenge – stage victories are more likely to be the target. Two other older riders that might fancy a challenge are Andreas Kloden and Denis Menchov. Both men have finished second in the Tour in the past, and in this relatively weak field, may fancy a shot at finally clinching the title. The final contender is Lotto’s Jurgen van den Broeck. The Belgian finished fourth in 2010, before suffering a nasty injury in the 2011 edition where he was left with a pneumothorax, broken ribs and a fractured shoulder. He recovered quickly to finish eighth at the Vuelta, and looked in good form in the Dauphiné this year, finishing in fifth. The white jersey for the best young rider could be an interesting battle as well. Steven Kruijswijk is the 11/8 favourite in his Tour de France debut. His best performance to date was an eighth place at the Giro in 2011, and he impressed in the Tour de Suisse last year, winning a mountain-top finish. He is a strong climber, but unproven on the big mountains of the Tour de France. Rein Taaramae seems to have been around forever, although he is still classified as a young rider. Competing in his fifth Grand Tour, he has plenty of experience. He just missed out on a top-10 finish in last year’s race, denied by Pierre Roland’s stunning ride on the Alpe d’Huez, but finished well clear of third-place in the white jersey classification. He has suffered with illness and injury this season, but if he is fully fit, he will be a leading contender for this jersey. The two other main contenders here are Wouter Poels, the attacking climber from Vacansoleil, and Tejay van Garderen. Van Garderen will predominantly be helping Cadel Evans in the mountains, and if he can stick with him for most of the climbs, he should be in a strong position to challenge for this jersey. Moving onto the green jersey for the sprinters, Peter Sagan is an odds-on favourite in most places. Strong in the sprints and with the ability to pick up points in the hills, he is a justifiable favourite. Mark Cavendish is the defending winner of this jersey, but his team is designed to help Wiggins, and Cavendish’s attention is more focussed on the Olympic Road Race, rather than defending his jersey. He will undoubtedly pick up a couple of stage wins, but it would be a surprise to see him retain his jersey. 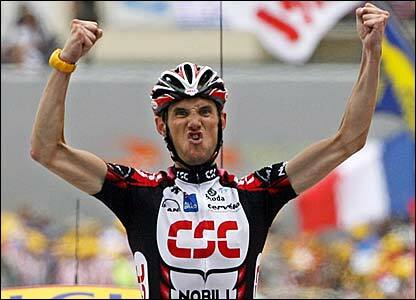 I've got Gilbert down in my head for the odd stage win, not sure if his odds re decent.